Transgender singer and songwriter Shea Diamond is the latest artist to join HRC’s Equality Rocks campaign. In an exclusive HRC video, Diamond talks about how she uses her art to make a statement, especially with transgender social justice issues. 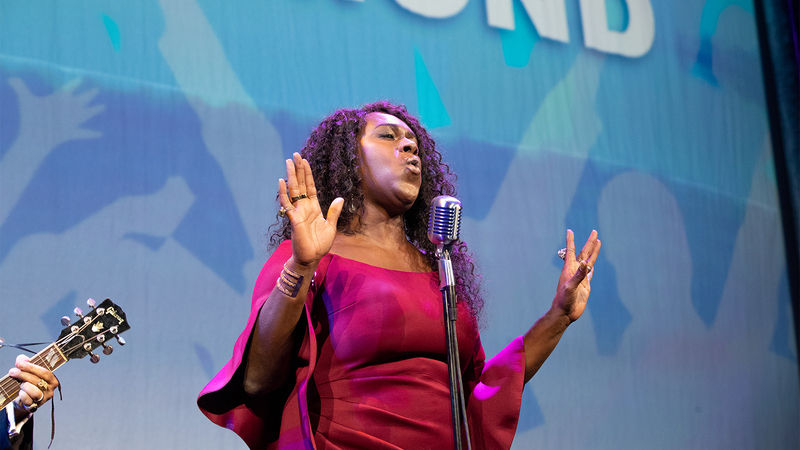 HRC’s 22nd annual National Dinner included a beautiful performance from Diamond, who left the room speechless with her song dedicated to transgender people. We’re proud to add Diamond’s powerful voice and spirit to HRC’s Equality Rocks campaign, which is sparking a conversation about love, fairness and equality around the globe. To join and learn more, visit www.hrc.org/EqualityRocks.